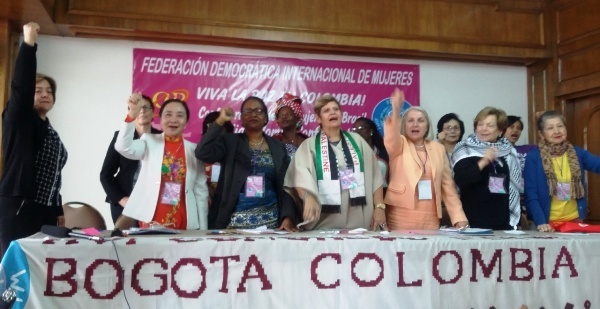 Excerpts from the message of the DOIW to WIDF on its 16th Congress. “As you know, the women of Iran struggle against a misogynistic regime and highly exploitative and deeply discriminatory social and economic policies that have marginalized and condemned millions to poverty. The regime’s leaders slavishly adhere to the economic and social template of the World Bank, IMF and other international institutions that serve the interests of capital. The consequence of these policies, changing the Labour Law and abolishing safeguards for workers’ rights has been catastrophic. The women of Iran bear the brunt of the resulting hardship, increasing poverty and unemployment, malnourishment, and a predominance of temporary employment contracts. A byproduct of these policies and practices has been a substantial increase in prostitution and drug addiction. According to official statistics published in April 2016, the rate of unemployment in the country is 11% and the rate among women is twice that of men. Amongst young women this rate stands at 42.8%. This is despite the fact that while the number of women completing higher education is one of the highest in the world, the number of women in paid employment is very low. A large number of women from low-income families are forced to work in small workshops or the informal sector with no safeguards. Workshops with a workforce of fewer than ten workers are not covered by the employment law and employers can hire and fire at will and workers have no insurance. The UN 4th World Conference on Women in Beijing 21 years ago stressed greater economic participation and employment as the most important factor in improving women’s lives. Governments have a duty to enshrine in law equal access to economic resources. However, the retrogressive regime in Iran, with its adoption of sexually discriminatory policies in all fields, has limited women’s access even further. Despite its tremendous tenacity and maturity, the women’s struggle in our country is yet to make significant gains. This is in greater part due to the neo-liberal nature of the regime’s economic life and the reactionary, patriarchal and theocratic socio-political policies that it has imposed on the country. In the last decade, Iranian women have challenged their barbaric treatment. They have formed independent women’s organisations, organised social and cultural activities, literacy campaigns, and remained centre stage in the popular movement against theocracy. Even without the desired immediate outcome, the very fact of women’s mobilisation has led to qualitative changes in our people’s struggle. Successful campaigns, such as the ‘Change for Equality’ and ‘One Million Signatures’ against reactionary laws, are prime examples. The regime’s regressive stance is visible in international bodies too. More than 191 countries are signatories to the UN Convention for an end to Discrimination against Women (CEDAW). 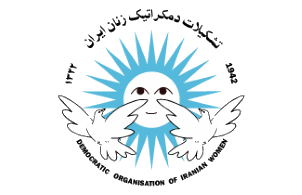 In May 2003, the then president, Khatami, agreed to join the Convention, but the fundamentalist ‘Guardian Council’ refused to ratify the move. As a result Iran is not a signatory to this most essential Convention. During the presidential elections in 2013, Hassan Rouhani, who subsequently won the election, promised that he would join the Convention but this is yet to materialise. Iranian women continue to demand the repeal of misogynistic laws both in the Constitution and civil law of the Islamic Republic which reduce women to second class citizens. Iranian women are fighting to reinstate the gains they had made in the previous decades which have been trampled on – the right to divorce, the ban on polygamy, the degrading exclusion from professions such as becoming judges, etc. Iranian women demand the right of employment, of equal standing as witnesses, equal rights in marriage and inheritance, the right of travel without their husbands’ permission (or male guardian), the right of custody of children, and the annulment of the right of polygamy for men, the raising of the age of criminal responsibility for female children to 18, and Iran’s joining of the Convention for the Prevention of Cruelty and Discrimination. The women of Iran are deprived of the right to form civil or political organizations. Any attempt is brutally suppressed and any peaceful movement is met with arrest and torture. “As you are aware the Middle East is passing through one of the most difficult chapters of its history. Dictatorship, war and terrorism have created such difficult and intolerable conditions that millions have no option but to forsake their homeland and seek safety elsewhere. Imperialist plans are constantly fine-tuned in order to crush peoples’ resistance to neoliberal policies. As a result, our people, men and women, must fight on two fronts – against the war-mongering policies of imperialism and against the reactionary regime and its neo-liberal policies of class and sexual exploitation and discrimination. In this struggle we need the support of progressive forces. We appeal for your support for the bid of Iranian women for democratic freedoms and your solidarity with the Iranian people’s struggle. We herald the active and mutual support of our sister organisations.